Your credit score. Fast. Easy. Free. LendingTree utilizes vetted security measures including Secure Sockets Layer (SSL) Technology and a minimum of 128-bit encryption to protect your data. Learn more. Your credit score affects everything from your credit card limits to renting an apartment to the rates you receive on mortgages and other loans. The higher your score, the more creditworthy you are to lenders. 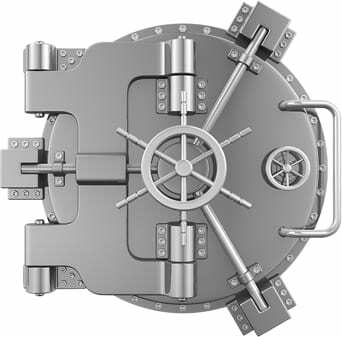 If your score is low, lenders will perceive you as a riskier borrower and therefore charge you higher interest rates. Your credit score will vary depending on which of the three credit bureaus – Equifax, Experian and TransUnion – is used. To simplify this confusion, the three main credit bureaus partnered together to create the VantageScore. LendingTree provides you with the most recent version of this credit score: VantageScore 3. There are many reasons to check your credit score. First, it’s good to know where you stand since the interest rate you receive on loans – including mortgages, auto loans, personal loans and more – is dependent on your score. And second, keeping an eye on your credit score can help alert you of any errors or fraudulent activity in your name. If you notice a sudden drop in your score, for example, you can pull your full credit report at Annual Credit Report and review it in detail. 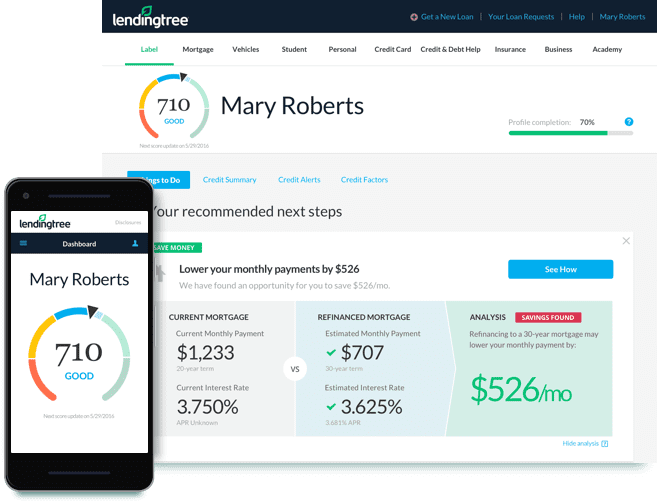 LendingTree utilizes vetted security measures including Secure Sockets Layer (SSL) Technology and a minimum 128-bit encryption to protect your data. When looking into services to repair and improve your credit, it’s important to research as much as possible. You want to make sure you identify and avoid any scams and protect yourself. You can learn more at What You Need to Know About Credit Repair Services. Perhaps you’re just starting out on your own and need to build your credit. Luckily, you can start establishing credit by starting small – such as opening up a student credit card or putting some bills in your own name. Make sure to pay every single bill on time and get in the habit of monitoring your credit score regularly. You can learn more on how to build credit from scratch here. You can improve your credit by paying all of your bills on time, using your credit card wisely, disputing any errors on your credit report, and keeping your credit card balances low. For more, see Simple Ways to Improve Your Credit Rating.